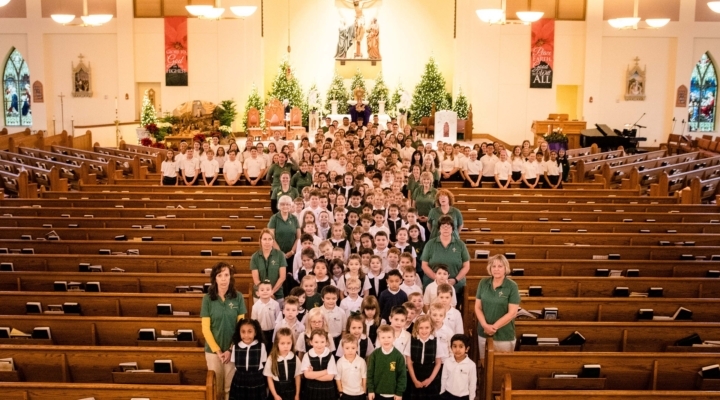 The mission of St. John Catholic School is to inspire all students to become Disciples of Christ through an engaging, nurturing, and exemplary education-one child at a time. St. John Catholic School will be recognized as Carroll County’s preeminent school of choice founded on the advancement of academic excellence and faith formation. Dedicated to fostering the Catholic Faith and Academic Excellence for over 150 years. Focused on nourishing the Soul, Mind and Body of our students. Highly qualified and dedicated faculty teach 21st Century Curriculum and skills to prepare our graduates to become engaged, academic, business and community leaders. 1: 1 IPads for all students in Grades 5th through 8th. Spanish Immersion Course for students in Grades Kindergarten through 8th. STEM Classes for all students Grades Pre-K3 through 8th. Offer a variety of Academic, Sports, Music and Arts extra-curricular activities.